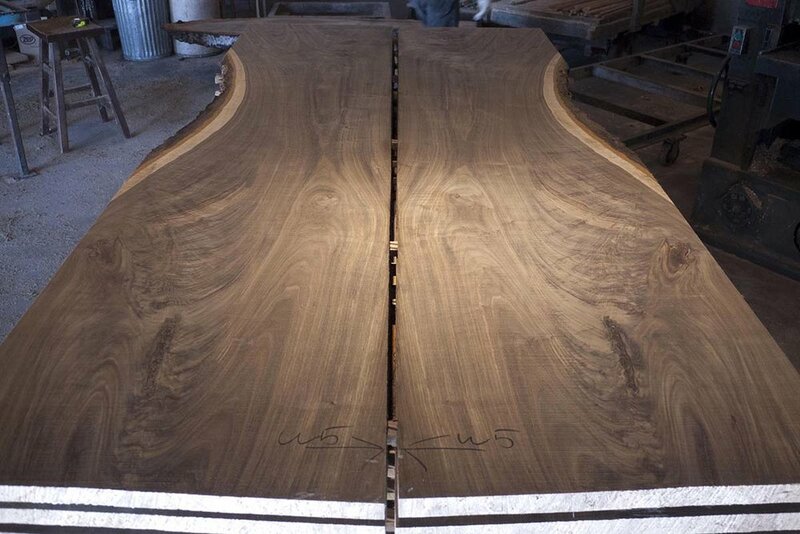 We have just put four or five of these 4/4 sets of this crazy, burly hard maple in the boardroom. Sugar Maple, along with Black Maple are the “hard” species. Since they do not grow naturally in our area, most of our hard maple comes from town trees. 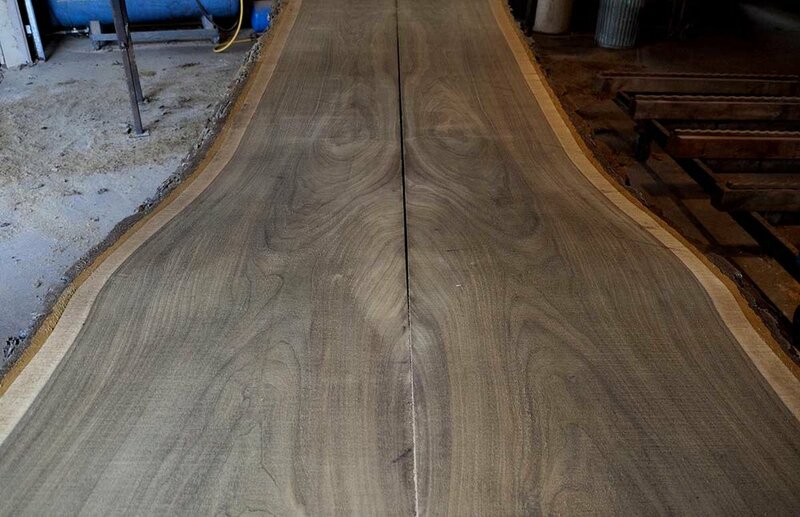 Although they do not yield as much clear, white lumber, there is frequently a lot of figure and color in the boards. 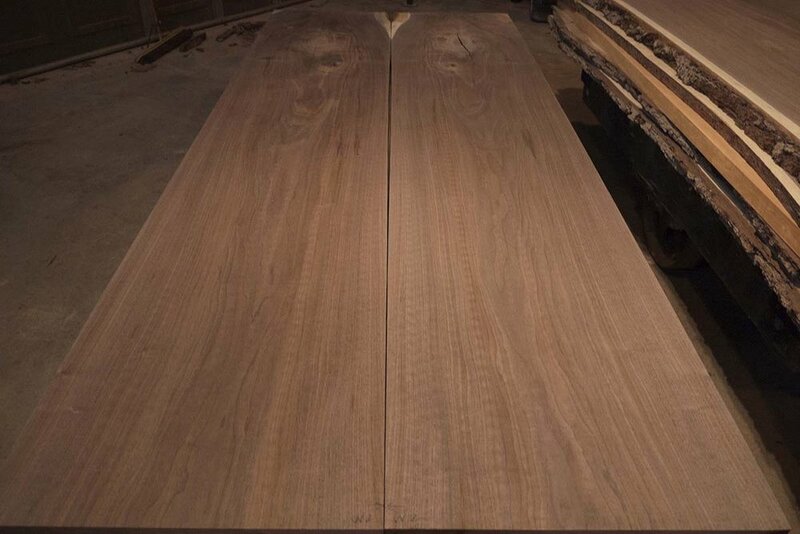 Whenever we create a “set” of a matching pair with a center board, the center is always cut from the same log as the pair. This ensures a near perfect match of color and figure, regardless of the species. Of the four species of elm that we saw, Slippery Elm, commonly called red, is the easiest to work with. We are always on the lookout for large logs, which are becoming rare due to the Dutch elm disease. American Chestnut is probably the rarest species that we offer. Before the chestnut blight, American Chestnut accounted for fully half of all the hardwood lumber by volume East of the Mississippi River. 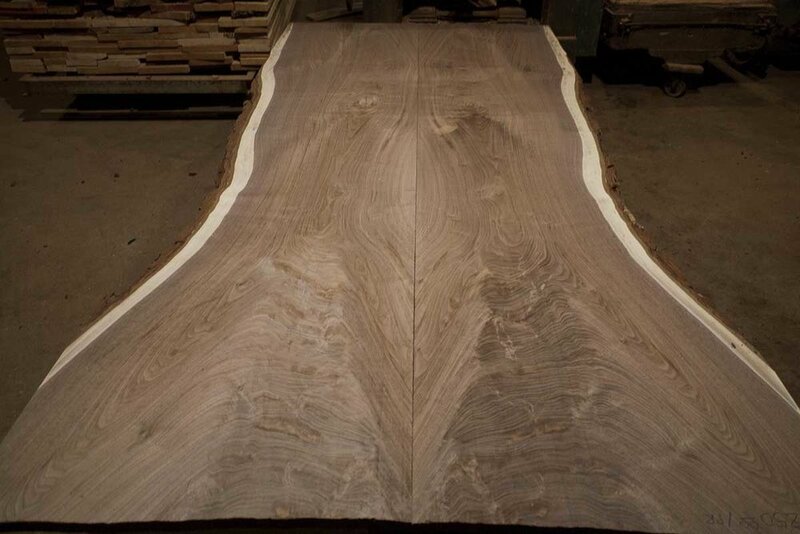 In other words, there was as much Chestnut as all the other hardwoods species combined. Our current stock comes from Minnesota, a grove that resisted the blight, until last year when the trees began to die. 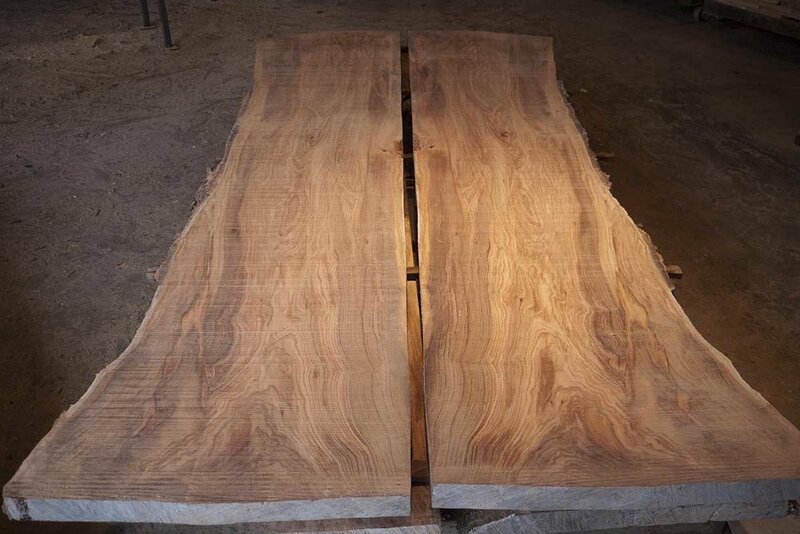 We have a good stock of both 4/4 and 8/4 lumber, including matched slabs. 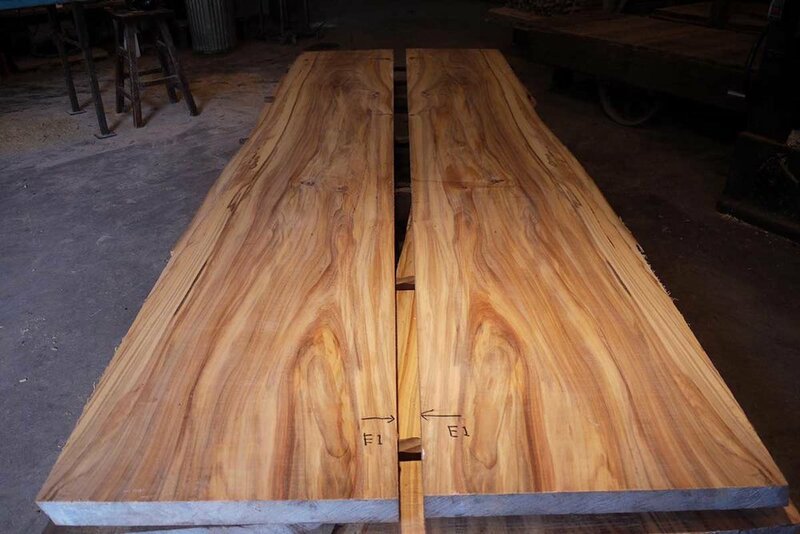 Ash is an elegant abundant wood, which will probably approach extinction in the not too distant future. The emerald ash borer is taking its toll. About the only good the insect does is to create intricate patterns in the cambium layer that look like hieroglyphics on the natural edges.